Measures distances up to 30m with +/-3mm accuracy. 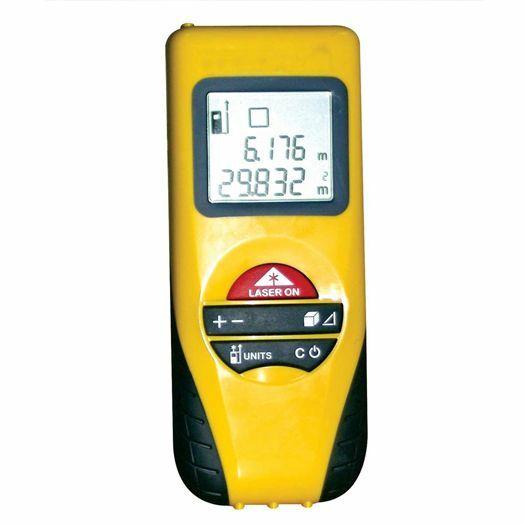 Laser based professional distance measurement device useful for indoor & outdoor applications in building construction, interiors, precision engineering works & fabrication. Basic unit measuring distances, areas & volumes extremely fast and with high precision. Measure distances of inaccessible points. Compact, Easy to use, economical unit. 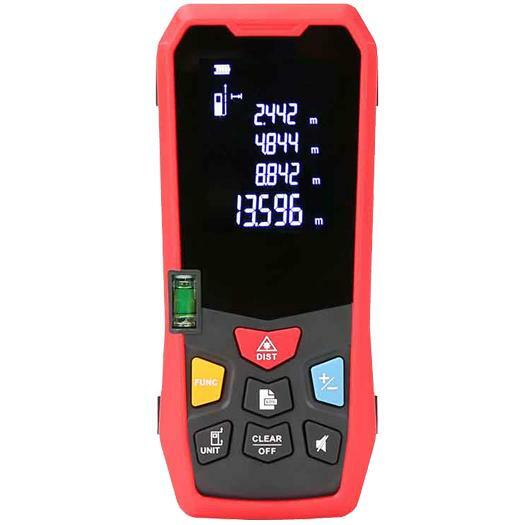 Precision infrared thermometer with large measuring range: -50 °C to1300 °C. Real-time video display of measuring point with all relevant date. Measuring point marked by dual laser and target mark in display for exact object pinpointing. Adjustable emission coefficient with material display. Integrated sensors for humidity and ambient temperature to assess room climate (Dew point assessment). Additional K-type thermocouple connection for contact temperature measurement. Visual and acoustic high/low alarm function. Min./Max./Avg./Dif. display: Display of minimum, maximum, average and differential value. Playback function for image and video recordings. All measured data recorded in internal memory (40 MB) or on micro SD card (max. 8 GB).